See The Naked Young Franciscans Whipped With Cactus. See The Bandit Leader Disemboweled. See The Priest Ride Into The Sunset With A Midget And Her Newborn Baby. What It All Means Isn't Exactly Clear, But You Won't Forget It. The method for picking these movies is becoming stranger and stranger. Sometimes I try to get into a certain mood: if I’m listening to 80’s music, then I think of a slasher movie, or if it’s raining I think of the 70’s (don’t ask, I have no idea)… You know, stuff like that. What I did today is stare blankly at my DVD collection for several minutes. Suddenly, one movie stood out from the rest and when I grabbed the case I instantly knew that was the chosen one: El Topo. I might resort to witchcraft next time because this random picking is becoming unexpectedly difficult! Anyway, at some point I was obviously going to write about El Topo but destiny has decided the time has come now. Few things can be said about this groundbreaking movie that haven’t been said: released in 1970 to an unsuspecting audience, El Topo has become a landmark achievement that influenced a whole generation and even kickstarted the phenomenon known as midnight films. We could go as far as saying it was first “true” cult film. Notorious celebrities have claimed appreciating this movie, including John Lennon, George Harrison, Bob Dylan, Peter Fonda, Dennis Hopper, Marilyn Manson and Peter Gabriel. In fact, Mr. Gabriel himself acknowledged El Topo as the primary influence behind his story from the seminal progressive rock album, The Lamb Lies Down On Broadway. Really, is there anything else I can say? 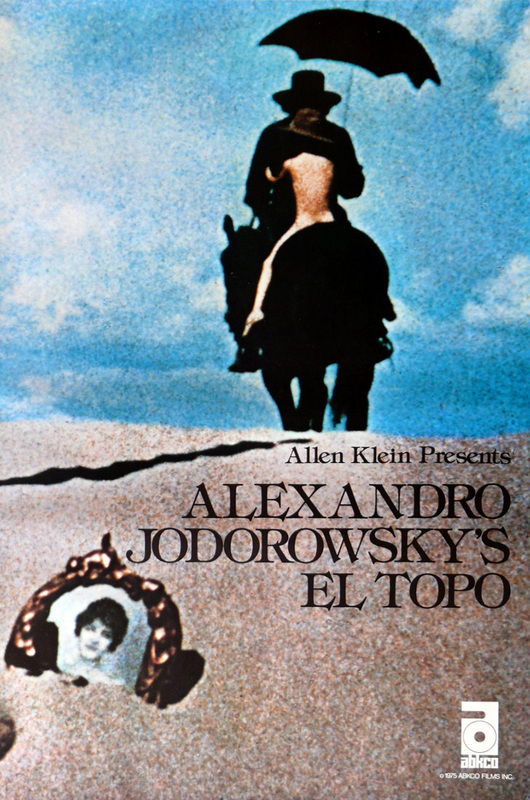 Directed by Alejandro Jodorowsky – who was born in Chile and is a director, actor, playwright, composer and mime – El Topo is more allegory than movie. At its most basic level, it plays like the craziest spaghetti western ever made as it follows the exploits of El Topo, a mysterious gunslinger traveling with his son through an unnamed desert. 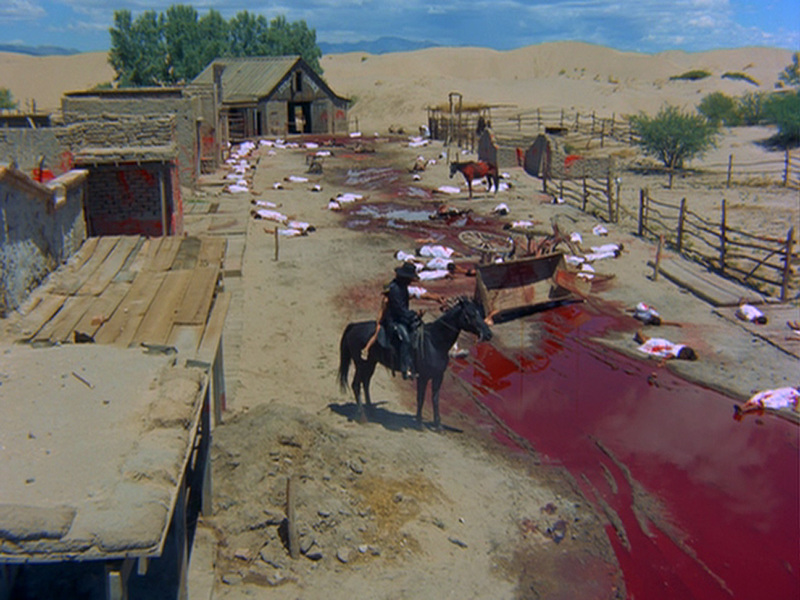 The story is very disjointed and feels like a series of vignettes rather than a coherent tale: El Topo stumbles into a town that has been ravaged by outlaws. He seeks the man responsible for such slaughter: their leader, the fat balding Colonel. 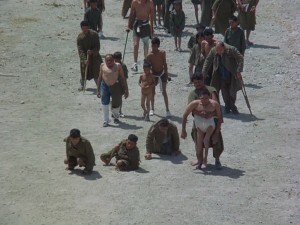 The motivations of El Topo are unknown but he does slain the Colonel, after which he abandons his son to a bunch of monks and then a woman tempts him to fight in a duel with the four great gun masters. Again, who knows why. After El Topo beats the masters through tricks or plain luck, you are halfway through the movie. Needless to say, the whole thing is quite trippy. 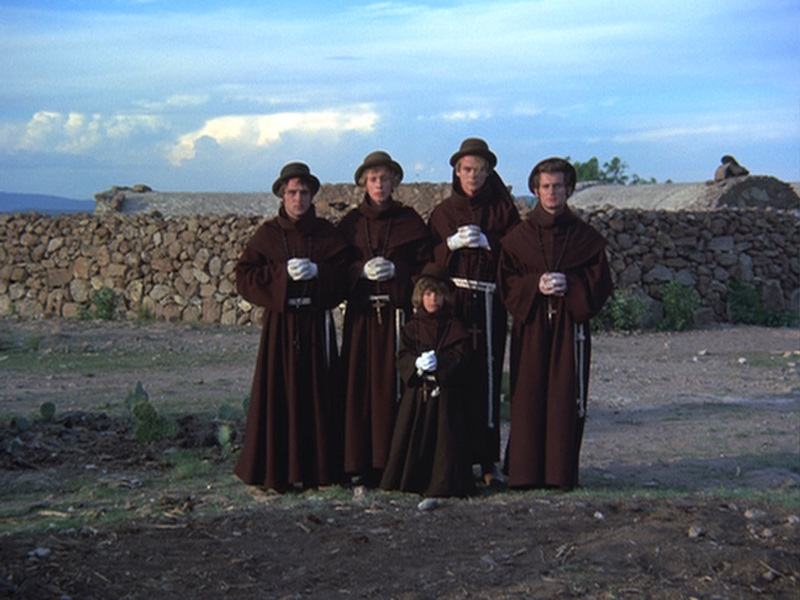 In reality, there’s a very deep statement in El Topo: it’s an exploration of many religions and cultures and the movie reeks of symbolism. 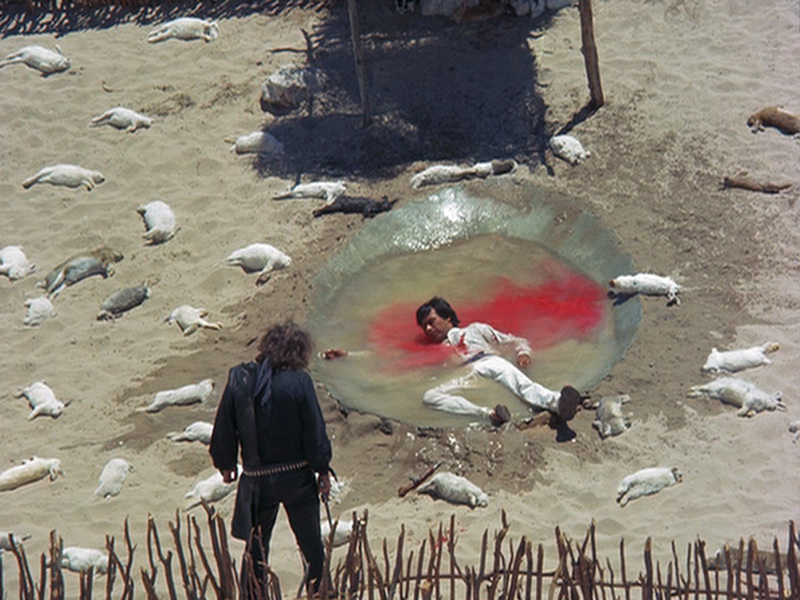 Many have compared the character of El Topo and his experiences with Christ, although it’s probably Jodorowsky himself the only one who knows the truth. Still, the movie and the symbolism works, even if it’s only on a visual level: the imagery is equally disturbing and attractive — there’s simply too much going on screen, minute after minute, and an exhaustive interpretation of the whole thing could require an entire book, if not a couple. 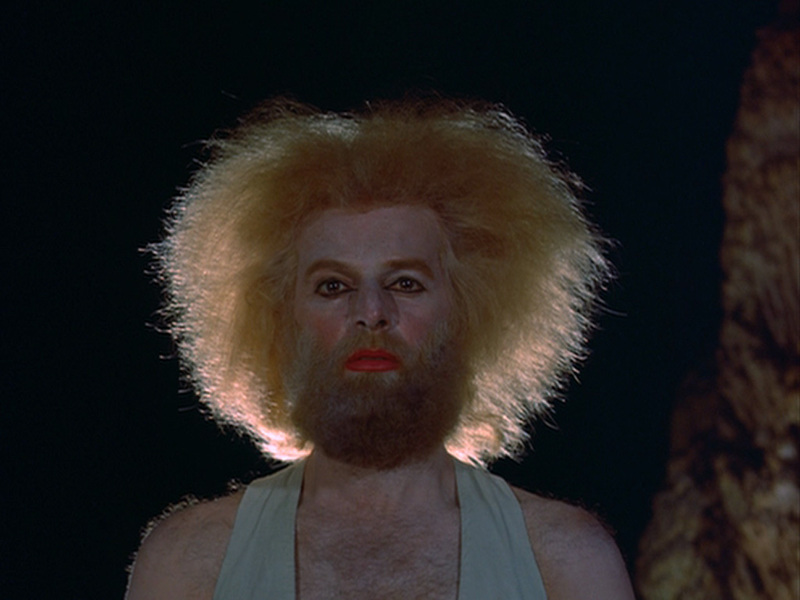 Surprisingly enough, El Topo gets better and better after repeated viewings to the point of making sense, but a very special sense: one that you can’t explain but somehow can understand. It’s worth noting that the movie is very gory and offensive (it was quite controversial in 1968 to say the least). Scandalous religious allegories are only one aspect of the controversies — there’s also outrageous sexual scenes, loads of blood, and downright unsettling features such as the inclusion of real dead animals and maimed performers. Although it might seem otherwise, this is an excellent example of a film that remains disturbing to this day because it takes itself very seriously, never being gratuitous. As I said before, the experience is very trippy. There’s a reason why this movie, along with 2001: A Space Odyssey for its wacky end sequence, were the prime choices to watch in theaters for stoned hippies. Hands down, El Topo is one of the key movies of the 70’s and has gotten even stronger four decades later. Not to be missed by any means. 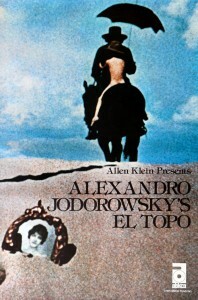 El Topo can be acquired from Anchor Bay. If we wish to have a bright day when we wake up, we have to re tune our mental make up.Just concentrate on things we have on hand and not worry about things that are not under our control.